Take the A38 dual carriageway from Exeter. At Buckfastleigh turn left for Totnes along the A384. Just prior to entering Totnes turn right, picking up the A381 to Kingsbridge. 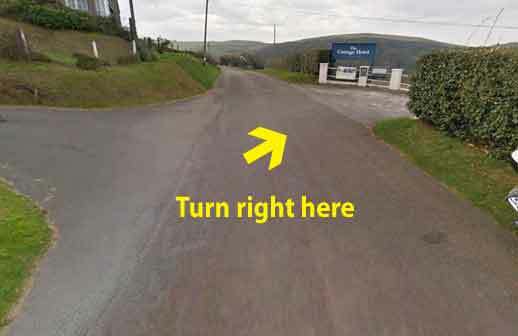 Continue past Kingsbridge (not into it) and follow the A381 towards Salcombe. 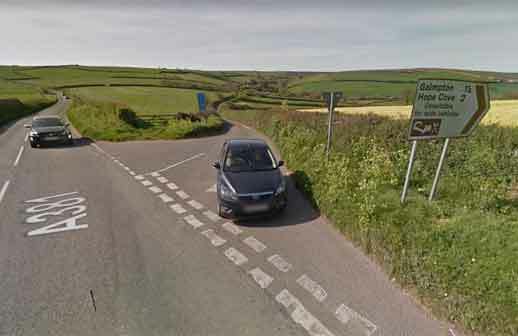 Although Hope Cove is signposted along this road (pic 1), we suggest you take the second turning (sharp right) at the village of Malborough (pic 2). 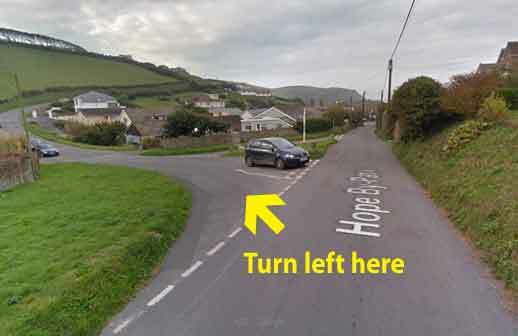 Continue into Hope Cove then turn left for Inner Hope (pic 3). 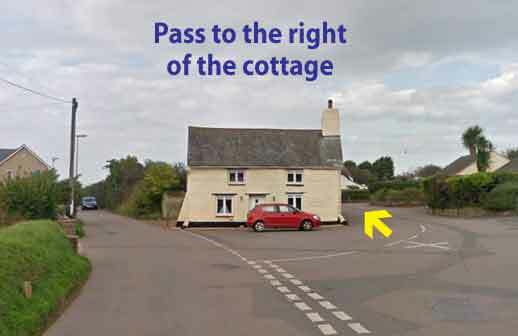 The hotel is clearly signposted on your right at the top of the hill (pics 4 and 5). If you do not wish to drive, the nearest railway station is Totnes (19 miles/31 kilometres) and airport is Exeter (46 miles/74 kilometres) where there are scheduled flights from Paris, Cork, the Channel Islands and other UK destinations. Car Rental can then be arranged. 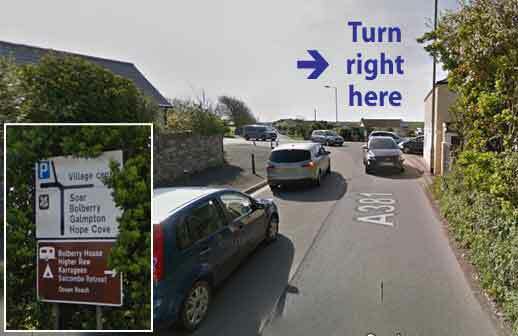 There are few buses to Hope Cove itself (see our Public Transport page) and it is advisable to take a taxi from Totnes or Exeter.